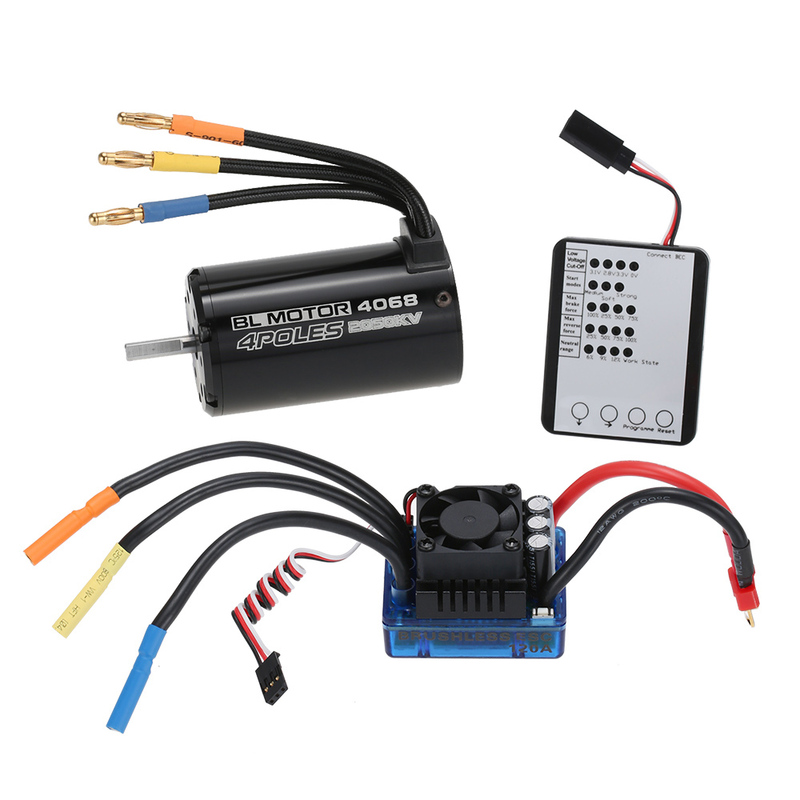 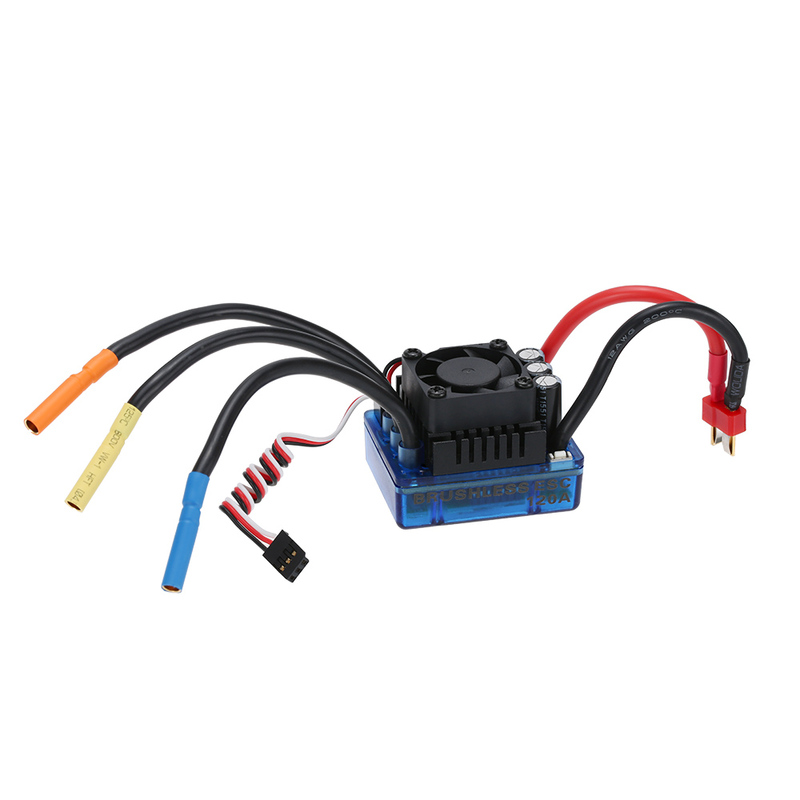 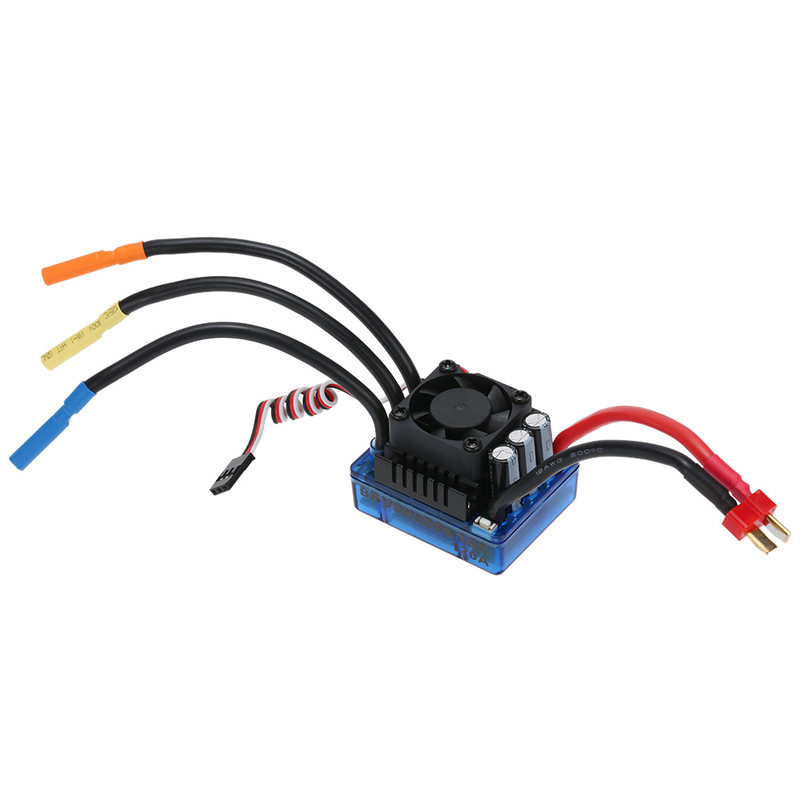 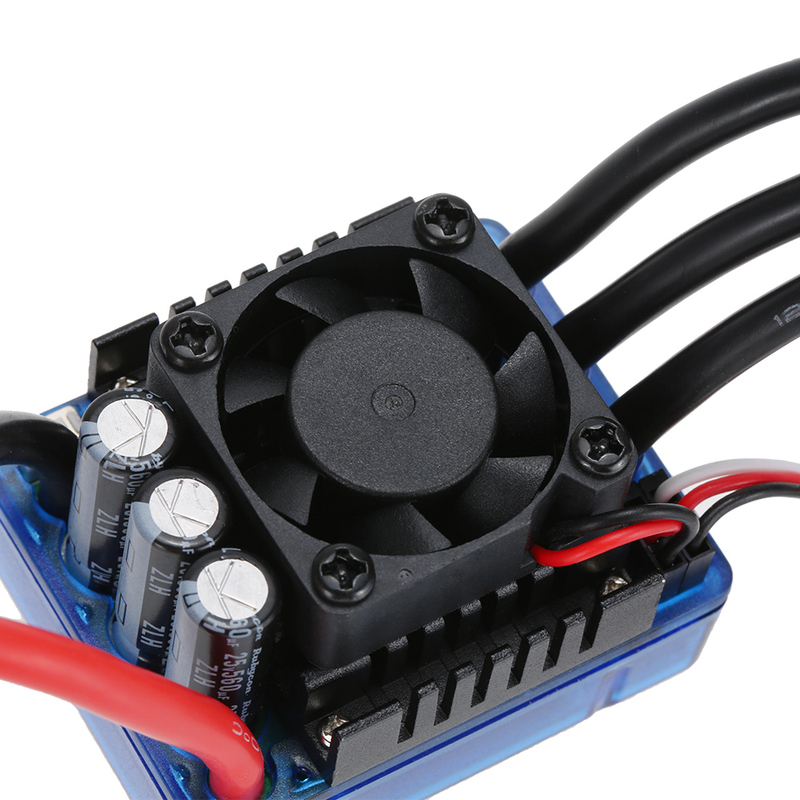 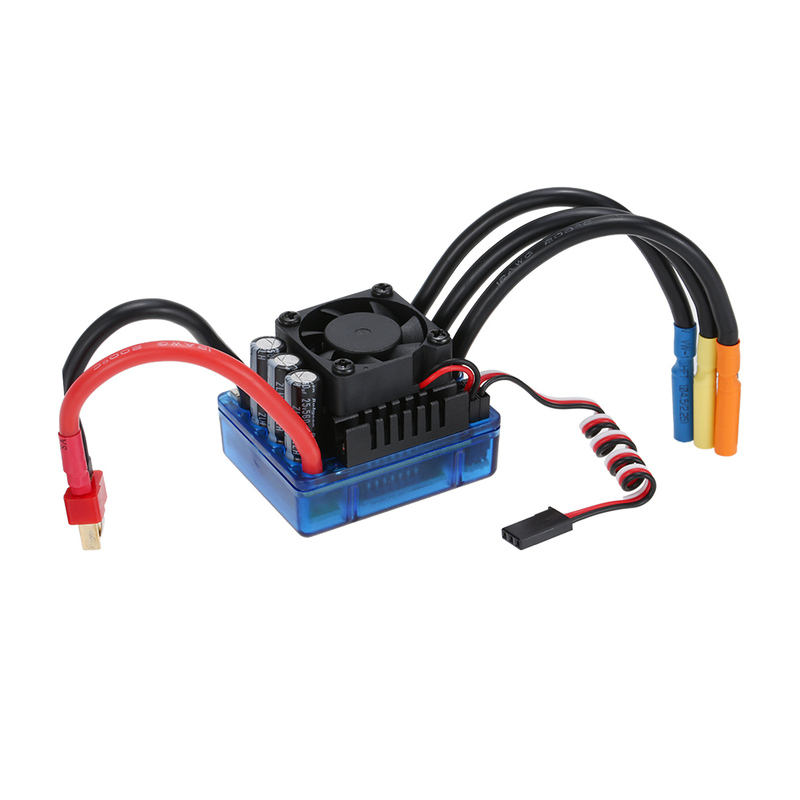 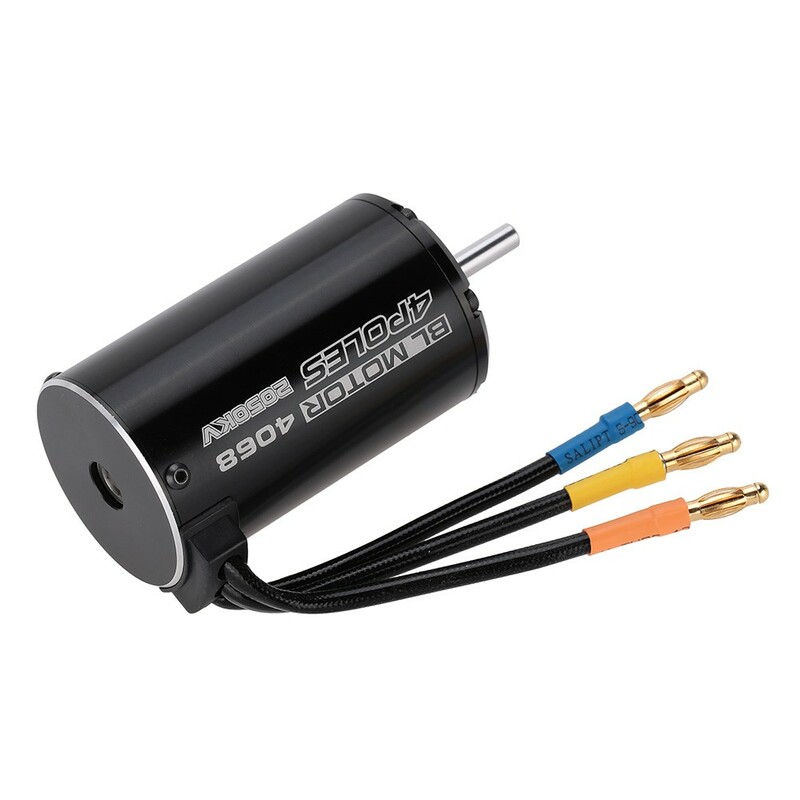 The 1/8th combo set is combined with 4068 2050KV sensorless brushless motor, 120A brushless ESC and LED program card. 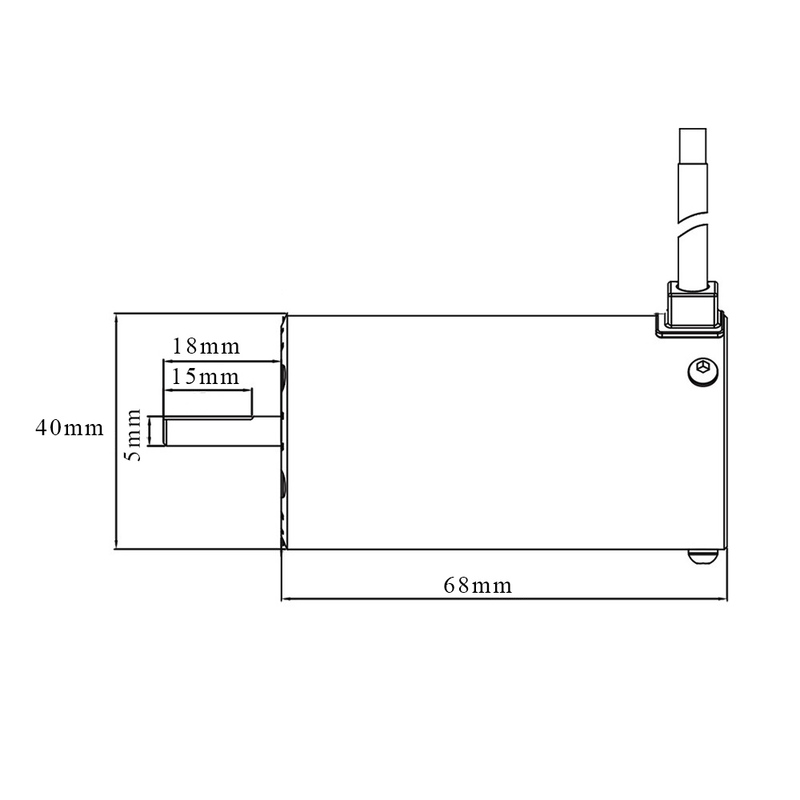 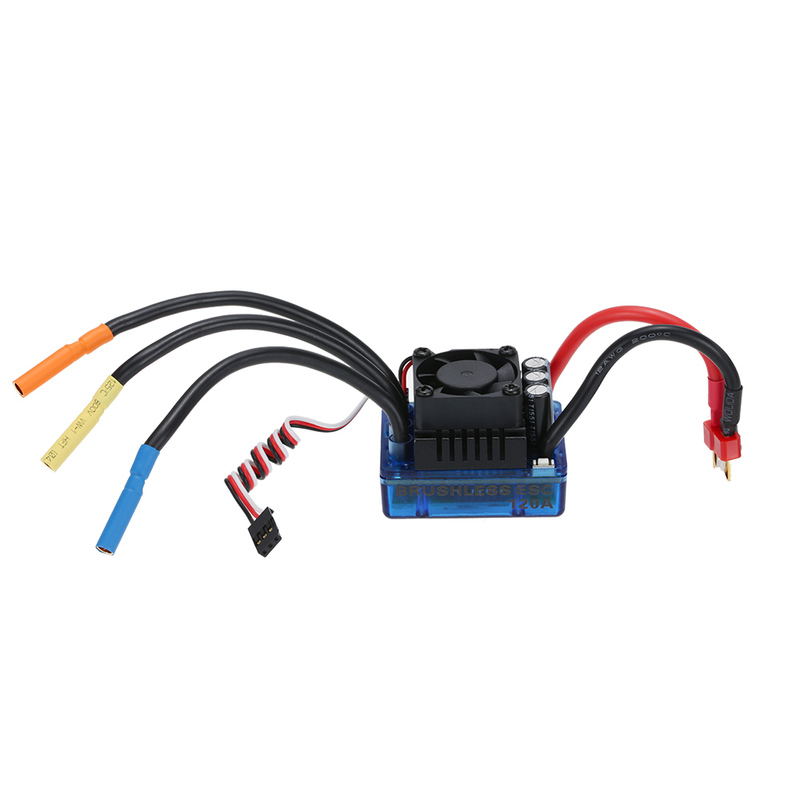 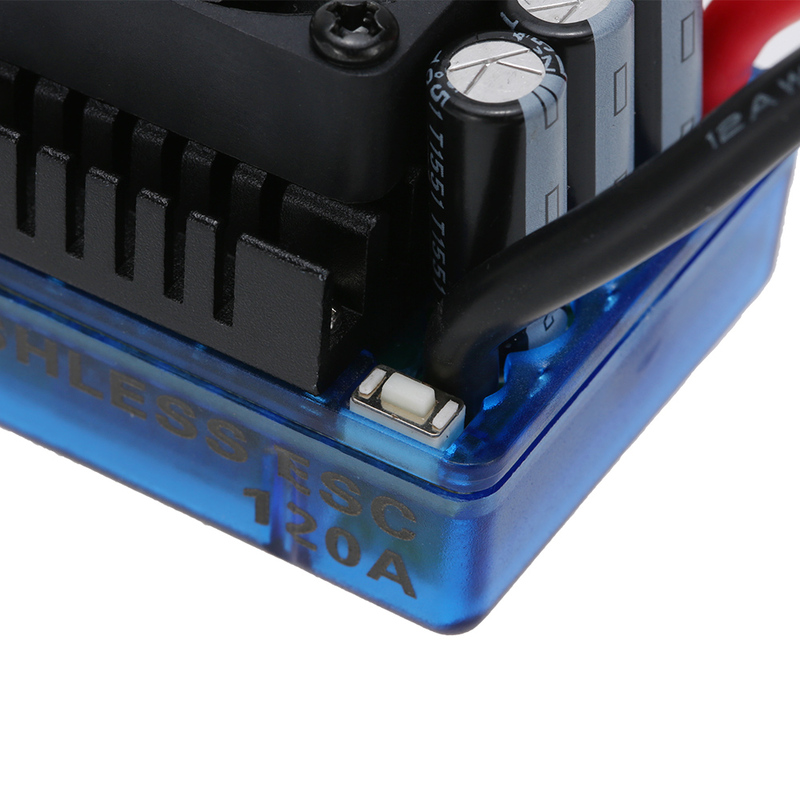 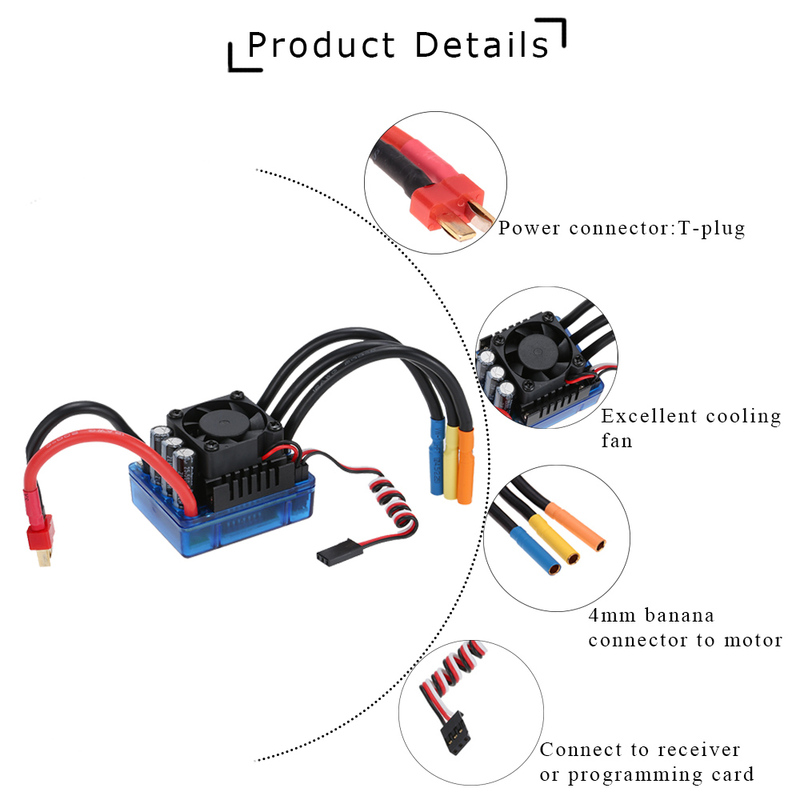 The ESC is designed for 1/8 scale RC car with the use of 2-4s LiPo battery and 4-8s NiMH battery. 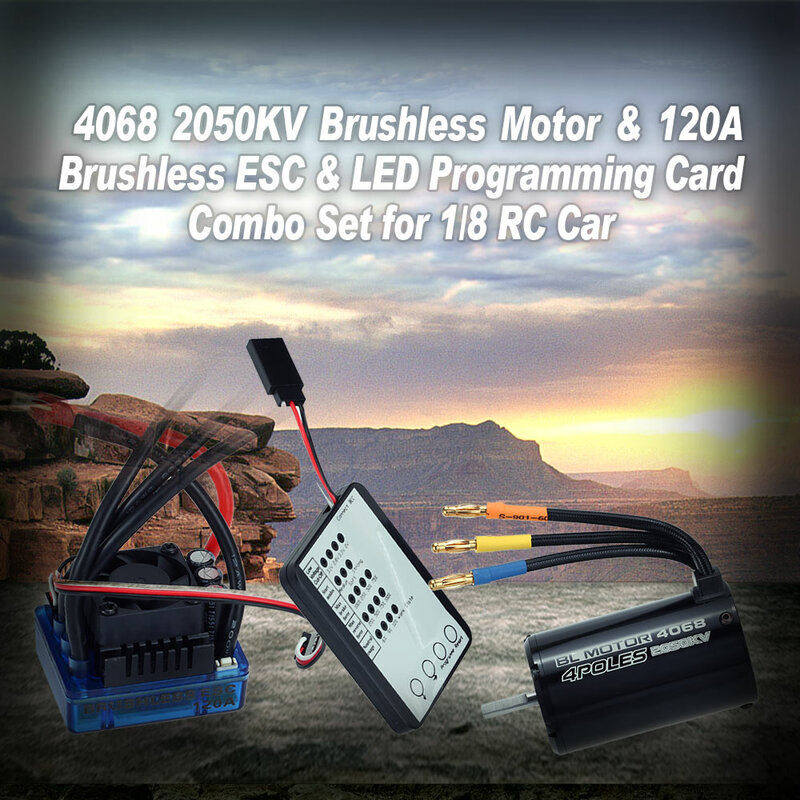 When you connect the ESC with the program card, you could tune and tweak parameters that add up to an incredible RC driving experience. 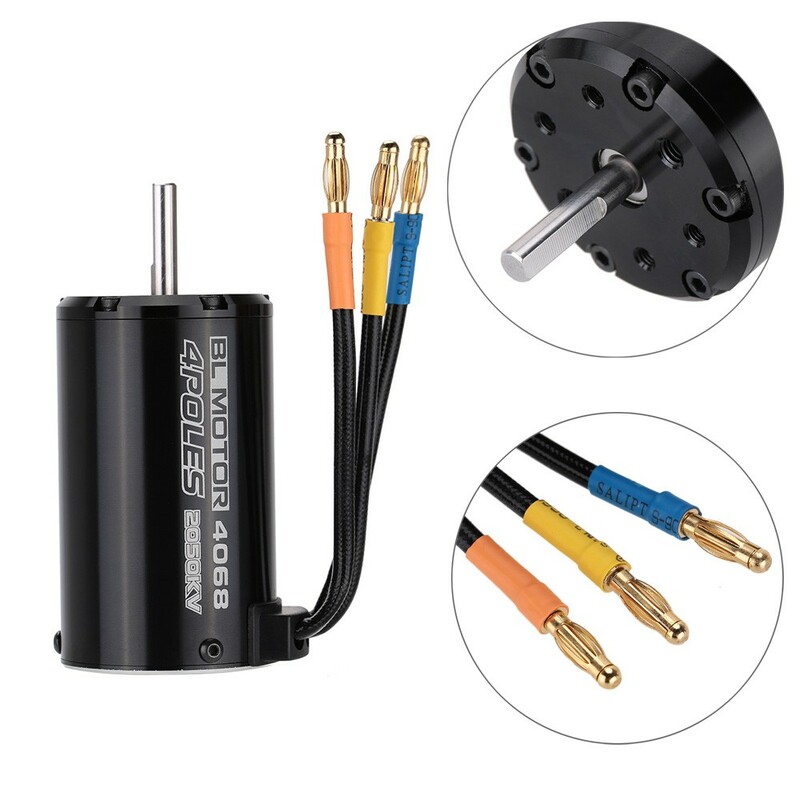 Short stator, less wire, lower resistance, more power. 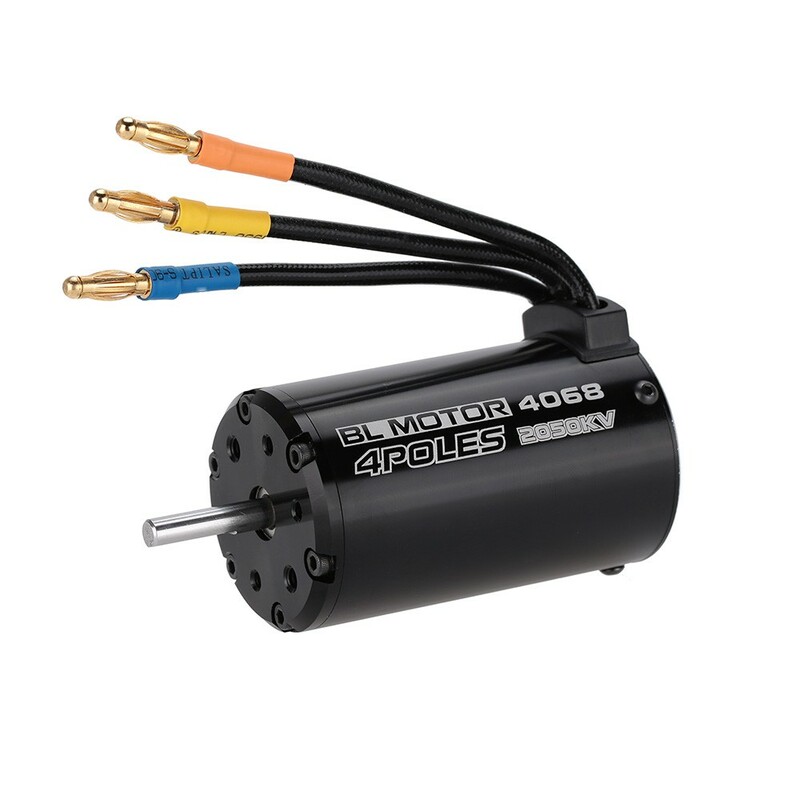 Enhanced throttle response, excellent acceleration, strong brakes and throttle linearity. 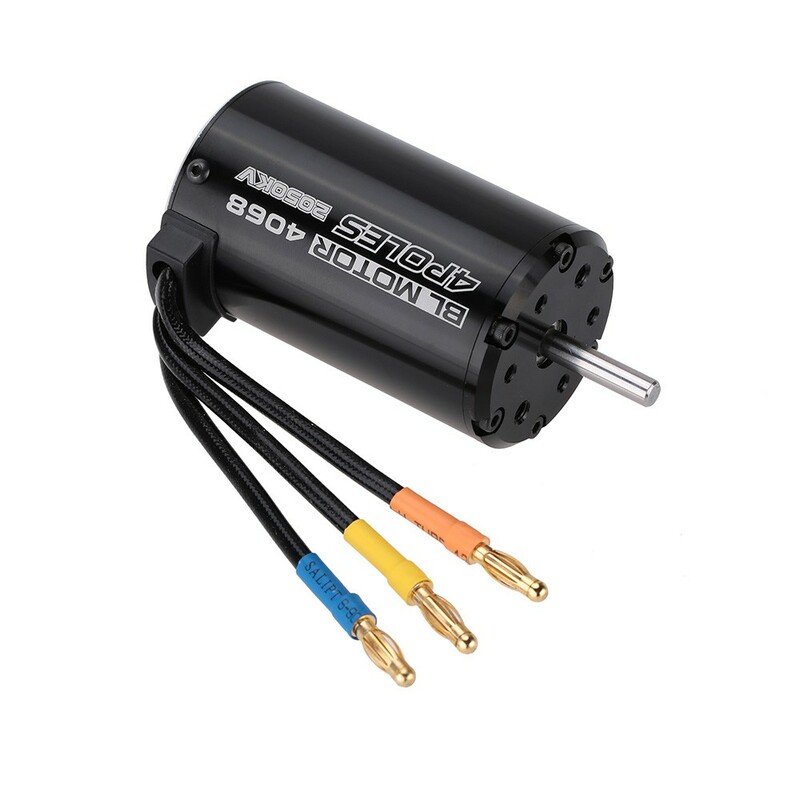 Built-in switch mode BEC has powerful output to supply all the electronic equipments. 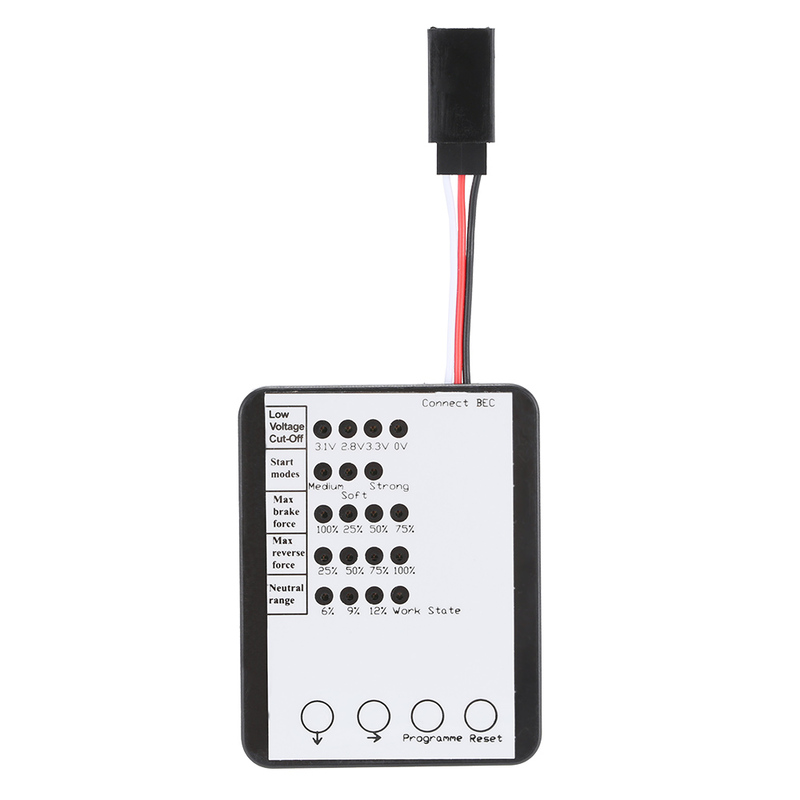 Multiple protection features: Low voltage cut-off protection, over-heat protection and throttle signal loss protection.